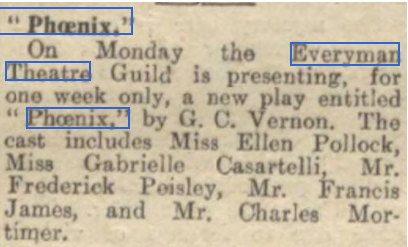 Charles Mortimer was in the cast of "The Phoenix" at the Everyman Theatre, London, from 9 - 14 March, 1931. He played the part of Josh Carter. From The Stage - Thursday 05 March 1931. 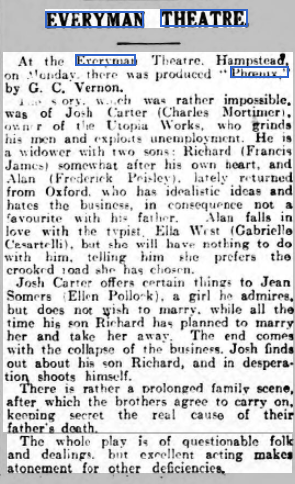 From The Hendon & Finchley Times - Friday 13 March 1931. 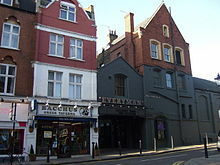 From The Stage - Thursday 12 March 1931.